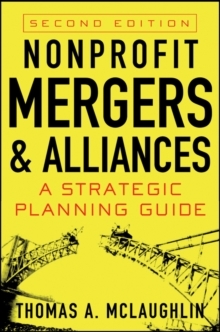 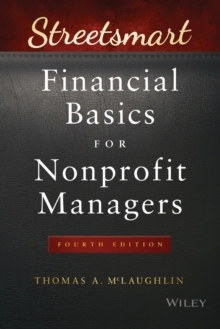 Clear, practical, step-by-step guidance through the nonprofit merger process Using real-world examples, case studies, and enduring frameworks, Nonprofit Mergers and Alliances, Second Edition offers clear, practical, step-by-step guidance through the merger and alliance development process. 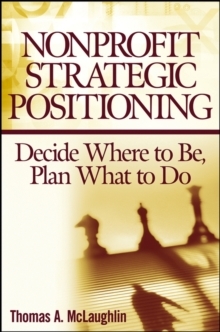 From assessing feasibility and planning for implementation to post-merger integration, this ground-breaking work points out pitfalls and offers insightful commentary in every chapter. 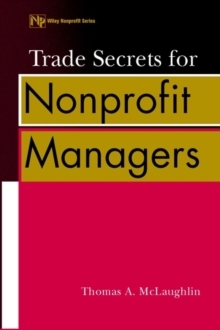 * Provides a comprehensive framework for designing and implementing effective collaborations of all kinds * Offers the tools needed to effectively collaborate with potential partners * Shows how nonprofit mergers are fundamentally different from for-profit mergers-and why board members need to know this * Focuses on the needs of the nonprofit sector, including cultural compatibility and compassionate management practices * Shows nonprofit managers and board members how to make their way through the merger process without repeating Wall Street's mistakes Insightful and realistic, Nonprofit Mergers and Alliances, Second Edition equips you with the tools and knowledge you need to create effective collaborations.